A 4 channel arbitrary function generator in excellent condition. It's a design from a couple of years ago, but still available new. Price new today: €4956 + sales tax. I paid: £400 + sales tax. Close call. I was talking to them about that unit until you snagged it from under my nose. I hope you enjoy it! That's a proper arbitrary function generator! Nice machine! I hope so. I have been looking at it before but was not prepared to pay €6000 for it. My first thought about the £400 was that it must be a wreck, but it doesn't seem to have had much use. Clean, no scratches and no stickers. Perfect BNC connectors and very little dust inside even though it has a big fan blowing unfiltered air into the enclosure. Spectacular startup when it performs power on tests and clicks its relays. It has 44! 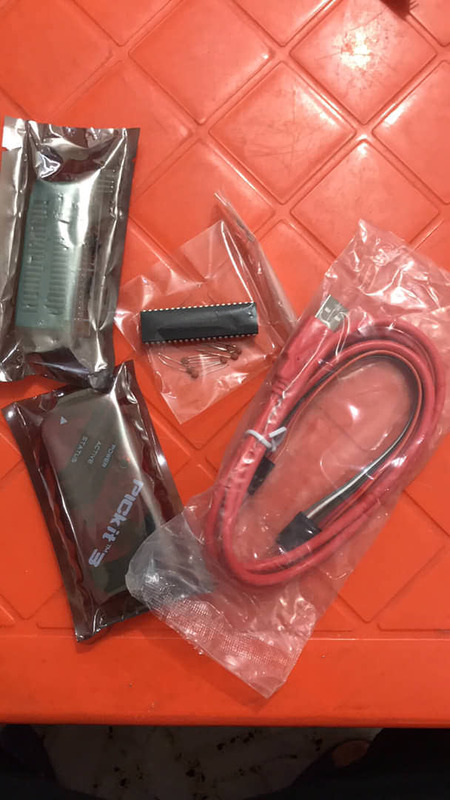 Nice seller (MCS Test Equipment). The unit passed their cal lab for a check out before shipping and the also included an industrial class CF card. Didn't expect that considering the price. Just a "Few" valves hehe. Should last a day or two. If its broken it can be broken more. If its working well, it can still be broken. More often than not the latter happens. (: Ps Name is Alex. I bought a bunch of boards and eeproms, ram memory and such from a Boeing 727 that went to the junk yard including stuff of the black box. Any plan for the probe power unit ? DIY or wait for 1143A ? If you choosed to DIY , PM me anytime if you need to peek inside the 1143A power unit. I don't have it yet so I'm still considering my options. The 1143A seems to be very hard to get and absurdly expensive. The 1142A seems to go for a good price now and then though. So if I can get one of these cheap, I'd go this way. For the beginning, I will apply the +/-17V from a lab supply. 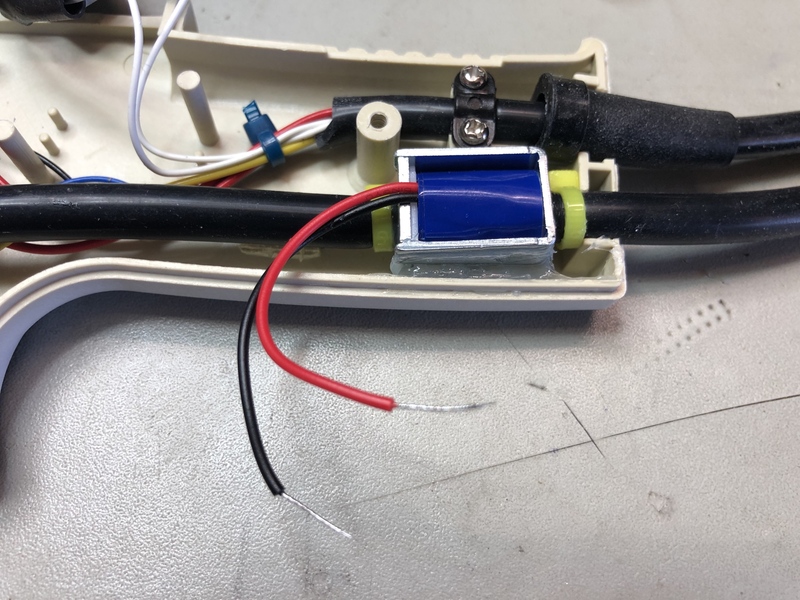 Anyway, there was a thread here a while ago with manual/schematics and pinning of the connector. I just noticed that the 1142A is not just the single channel version of the 1143A . So I guess this means DIY in the long run. First really good estate sale in a long while... In addition to a box of 7400 series logic with 1970's date codes, I got two great vintage keyboards (see below). Unfortunately the estate sale company had no idea of what happened to the associated systems (if there even were any). The George Risk keyboard seems to be practically unused. Quite acceptable range and easy to program. Another 10 RFM96 radios arrived. Amazing how cheap they are and how well the Lora technology works for long distance at low power. 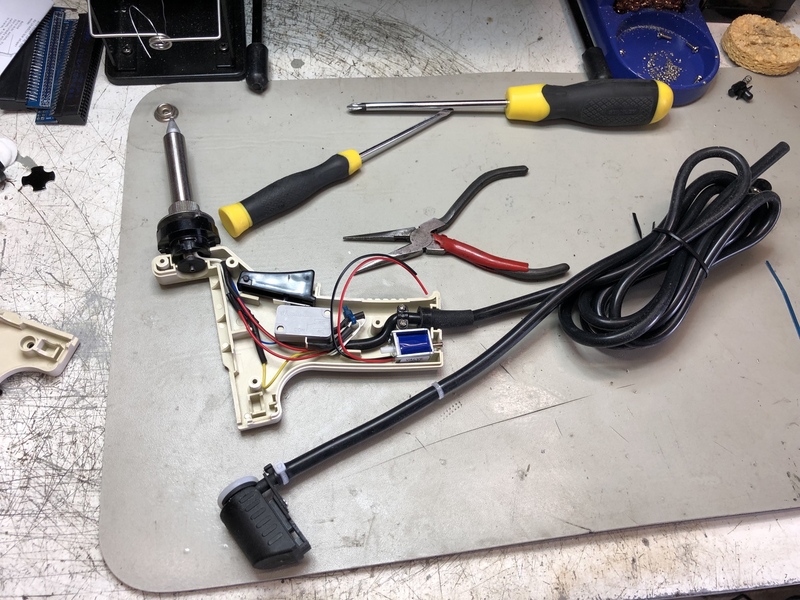 I have a small STM32F0xx board I designed that interfaces to the radios directly and brings out a u.fl connector for the antenna connection. Getting quite a collection of sma connectors/cables/etc to hook things up together as well. Amazing how cheap they are and how well the Lora technology works for long distance at low power. What distances are you achieving and what is the current draw of this module? A quick test was 1.5km line of sight. RSSI was about -80dB with a total budget of about -140dB. Over the next weeks I'll do some real testing over longer ranges, it should have no issue in open line of sight conditions reaching 30-40km which is my goal for very low data rate telemetry. Lora is an impressive technology and you can trade off packet transmit time for SNR/range. At the higher link budget levels, overall data rate gets down to just 10's or 100's of bits per second. At those rates you need to start looking at tighter tolerance crystals and then to TCXO modules. These cheap modules use regular crystals but you can easily remove (hot air) and replace with known quality crystals from a known distributor that are in the 10ppm range. Semtech (the chip maker) has a reasonable link budget calculator where you can see various tradeoffs (snr/rate/crystal tolerance). Current consumption of the module depends on the power level you are transmitting at (you can adjust output in 1dB steps). Overall consumption depends on transmit and receive duty cycle. The module can also be flipped into sleep mode and then it's down in the uA range. At full output and during the transmit phase it will range up to 120mA (at 3.3V), that's a 20dB output with the power amp turned full on. The tests I were doing were at 13dB and around 30mA transmit current. 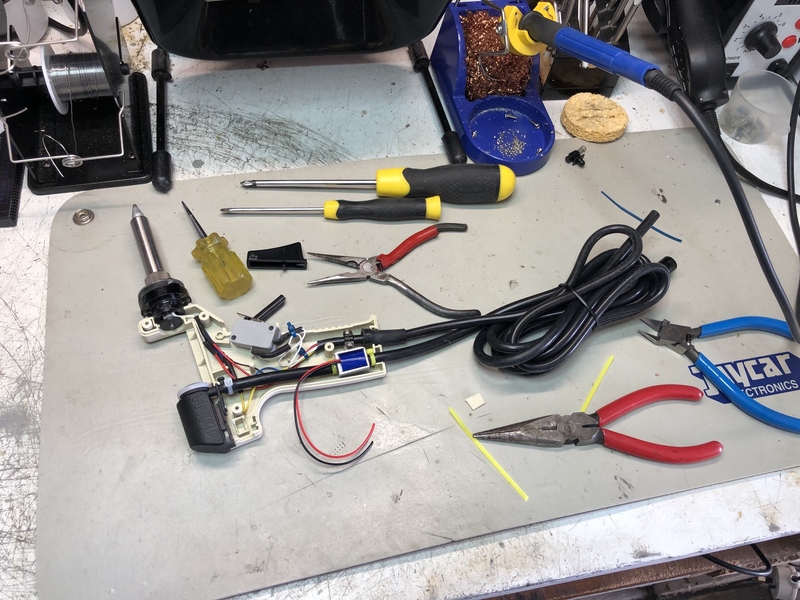 The biggest task was porting the radiohead code to a non-arduino and non c++ environment - but that was just a day or so of code slashing to get to the core routines that are actually necessary. A worthwhile process to fully understand the command/control code for the SX1276 (the chip that is used/relabeled) on the module. I've used some of the Digi 900HP style radios before, so already had a decent understanding of the broadcast/unicast/routing schemes that some radio protocols use. I just need to wire the switch to the valve and wire the vacuum pump to always on. This should give me a nice fast suction and be a nice upgrade to my cheap station. What is the value of the resistor you are trying to measure? I finished my project this morning - here's a thread with details for those interested. After weighing up the performance vs. price, I decided to get one of these (HTi HT-18 220x160 thermal imaging camera) rather than a secondhand Flir. Hasn't arrived yet, but hopefully it will arrive before/during the Christmas break so I have some time to explore it. I've seen all the hacking options, but I intend to leave this in its original state. If I like it enough, I may get a second one for a hack project. I still have a Lepton sensor from a Flir One here that I never got around messing with. Are those hacking options for the HTi HT-18? Or are you referring to the Flir ones? Post just dropped this off, it came with the communication module and a much-used Philips PM9010/091 Japan-made 100MHz probe. For 60€ delivered I wasn't taking much risk, it turns out to actually work. You can’t grumble at that deal buddy! They don’t come along too often.